Hello! Get a drink and settle in so we can get right to it. Every year I put together a holiday gift guide, with the aim of featuring quality, interesting items at all price points, for a variety of giftees. From stocking stuffers to big gifts, from grandparent to baby, I hope you'll find a gift idea (or two) for everyone on your list. Previous gift guides still have lots of good choices, so don't miss them: 2014, 2014 part 2, 2015, 2016. 1. Let's start with a splurge: this candle smells divine, is beautifully packaged, and will go with any home décor. 2. Stuffie bean bag, for the kid with way too many stuffies and not enough furniture. 3. Solar phone charging case. Clips to a waist, bike, backpack, tent, or wherever else they need it. My friend Sarah says, "My mother-in-law saved the day with this thing, because it charged their Satellite phone on a 12 day hike!". 4. An extra non-solar charger is also a great choice. For the traveler, busy bee, forgetful Frank, or otherwise average human who sometimes needs some juice on the go (so, everyone). This will charge your phone something like 10 times (don't quote me on that). There are other versions with dual USB ports so you can charge more than one device at a time, if you wish. 5. 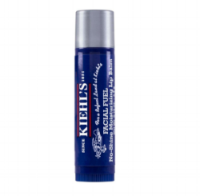 Kiehl's lip balm. My husband got this as a stocking stuffer and loves it. He says his usual Burt's Bees pales in comparison. A nice little upgrade for a daily item. 6. Cherry Bombe, the cookbook, from Cherry Bombe magazine. More than 100 recipes from 100 female chefs, authors, foodies, and all around interesting people in the food world today. 8. Pop beads for making some seriously cool jewelry, because pop beads are way cooler now that they were when I was a kid. I still adored them, though, and I bet a kid on your list will adore these. 9. Photo Ark. National Geographic photographer Joel Sartore's lifelong project to document every species known to man. Conservation and protection begin with knowing. 10. Cold brew starter kit. Chameleon makes great coffee, and now you can make it yourself at home! Fun and a relatively low price point at around $15. 11. Herschel dopp kit. I love a good travel kit and I'd have a whole closet full of them if that were remotely reasonable on any level. I recently got a Herschel overnight bag, and I really like it. I will definitely consider one of these the next time I need a new dopp kit. Huge range of colors and some fun patterns, including birds and leopard print. 12. I am digging these pretty, modern ornaments. 13. MoviePass! For just $9.95 a month, you, uh, or your giftee, can see one movie a day in participating theaters. No blackout dates and tons of participating theaters (I checked, and the major ones near me are included). This is less than the cost of seeing one movie! If you know someone who goes to the movies often (or wants to), see if major theaters near them participate and then sign them up for a few months. This would also be good for a white elephant gift, or someone you don't know terribly well. 14. This soap smells lovely and the packaging is gorgeous. Go directly through the manufacturer and you can buy a soap of the month club. It would be a great choice for people who like surprises, pretty packaging, fancy every day items, and things that smell luxurious. 16. Kitty Post-It pop up. I have this on my desk and it makes me smile every time I grab a sticky. 17. This gold stapler sits on my desk, too, and gets loads of compliments. Plus, I feel extremely fancy when I staple my TPS reports. 18. And listen, we all need a hand staying organized. 19. I apologize for that joke. Owl make it up to you. 20. I feel like I put a sleep mask on the gift guide every year, but I can't help myself. This one has nearly 9,000 reviews, 4.5 stars, and is $10. If you already have enough eye masks, maybe tuck one away for a White Elephant/Yankee Swap/Secret Santa/what have you. 21. A classic henley with fresh detailing. I really love the burgundy version, too. Layer it up or wear solo. 22. What if Everybody Did That? Because the world always needs more good citizens. 23. A portable firepit with folding legs and a carrying bag for easy storage. It's a grill, too! For the camper or campfire lover on your list. At about $50, the price is right. 24. Throw in some color-coded, rotating marshmallow/hot dog sticks and the ingredients for s'mores. 25. This camp cookware set would also be a great accompaniment to the fire pit, or stands beautifully on its own. 26. Codenames. A fun game involving words and mystery and thinking. My family played last Christmas and it was so much fun. 27. These little tiny baby travel pinch tins of Maldon sea salt (the best sea salt), for the campers, foodies, travelers, and other seasoned seasoners in your life. This 6-pack is reasonably priced and could stuff several stockings. 28. This book, just because I think it looks cool. 29. 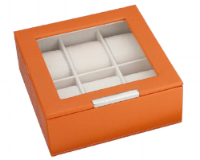 If your recipient just tosses their watch(es) on the dresser at the end of the day, try this watch box. Makes any watch collection look impressive, even if it's a collection of plastic ones from the vending machine at the grocery store. Variety of colors. 30. Stuff this julienne peeler (CAREFULLY!) into your favorite home cook's stocking. Maybe ask them to make you a carrot salad with it. Kuhn makes fantastic tools and this one is well-reviewed, and not too much more pricy than the OXO—though that one has nearly 5 stars, too. The Kuhn comes with a safety cover, if that helps you decide. 31. Speaking of vegetables, get them everything they ever wanted to know about butchering them. A great resource for omnivores, vegans, and everyone in between. 32. Speaking of cookbooks, Deb Perelman, the genius behind Smitten Kitchen, has a new cookbook out, and it's lovely. Her original cookbook is still a favorite as well. 33. Maybe round off these cooking gifts with this taco ornament, because taco ornament. 34. A good sturdy flashlight, perhaps. A good, all-purpose gift. Plus, this one is apparently tactical? 35. I'm sure you know someone who needs these socks. 36. Speaking of wine, this stainless steel electric wine opener has more than 2,000 reviews on Amazon with a 4.5 star rating, and it's about $30. Seems like a great deal for the wine lover in your life. For the wine liker, even. It will tell you the temp, too. 37. Maybe throw in something for your clumsy friends. 38. Melissa and Doug make fantastic toys. These Water Wow "coloring" pads are perfect for the budding artist in your life who hasn't quite mastered fine motor skills yet. Fill the "pen" with water and watch as they use it to magically colors the pages. When it dries, repeat! Great for cars, planes, the kitchen table, or using over Gramma's priceless Persian carpet. They come in a variety of themes, from animals to princesses to vehicles, and at about $5 you can easily stock up or stuff several stockings. This 3-pack of animals, alphabet, and numbers is a great deal. 39. These Melissa & Doug Smartypants cards for preschoolers are also really well reviewed, and come in a various grade levels. 40. It's hard to see in this picture, but the detail on this platter is beautiful. Pile high with your favorite cookies or slap on your favorite latke recipe or simply wrap in a box. 41. 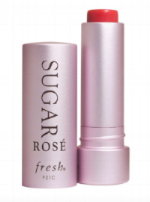 Fresh Sugar Tinted Lip Treatment. The easiest way to take care of your lips and get a little color on them, too. Or not, if you choose the untinted version. My favorites are Petal, Ruby, and the universally flattering Rosé. 42. Sugru moldable glue. Fix anything, including a stocking that needs stuffing. Comes in various colors. 43. An illustrated book of untranslatable words for the word nerd on your list. 44. Bennington Potters makes gorgeous stuff, and I love this platter. 45. A classic flask in a classic color. Affordable, sturdy, iconic. 46. This card-sized multitool is probably a great stocking stuffer for someone on your list. Open a beer, open a box, measure stuff, screw or unscrew things. They can keep it in their wallet. 47. This gym bag, for the workout junkie on your list. Highly rated and in a range of colors. 48. Speaking of exercise, this book, by the guy behind The Oatmeal. 49. Meats! This salami of the month club is supposed to be great. 50. These delightfully ridiculous macaron pill boxes for carrying medicine, jewelry, or whatever other tiny bits you can stuff in there. At $3 for 6, I think you need these for the stockings of tweens or fun-loving adults in your life. 51. There's also a macaron earbud holder that's quite a steal. 52. If you'd like to take a less whimsical route, this plain ole black earbud, USB, sim card carrying case is a great choice. I have one, and it's bigger than I expected, which is nice because it holds more than just earbuds but is still fairly small. 53. While we're at it, you can never have too many earbuds. These are my favorites. They're affordable, comfortable, and come in a variety of colors. Maybe throw in a splitter for phones without a jack. 54. Just look at this gorgeous farmhouse pitcher. Can't you just picture it chock-a-block with beautiful peonies, or on a brunch table, full of sangria? 55. These are awfully pretty. 56. This 1000 colors puzzle, for someone you really love or possibly really hate. 57. If you've got a puzzle lover who is also a reader, this slightly hokey-looking "Best Sellers" puzzle tickles me. It looks like something you'd find in your great uncle's lakeside cabin, next to some old candlesticks and paperbacks and a moldering, stuffed moose head. 58. 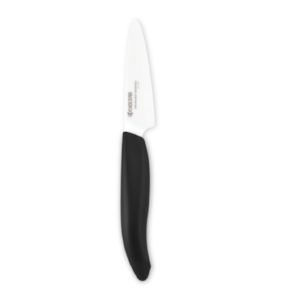 A ceramic paring knife is a great addition to any bar or kitchen. Include it with the gift of a cookbook, stuff (with caution!) in a stocking, tie it up with a bag of limes and a bottle of gin. 59. I want this 5-year Q&A journal. There's a 3-year version for kids, too. Answer one question a day, repeat for five years, watch your answers change. This is a great gift for anyone, but especially someone starting a new chapter in their life. It's quick, fun, and doesn't take much commitment. Think recent grads, 20-somethings, new parents, kids, and anyone even slightly introspective or nostalgic. You can start it any time of the year. 60. I really like this pretty frame a whole lot. It's modern yet classic, and the clean lines give it a universal appeal for an awful lot of people on your list. Stick in a favorite photo, or leave the quote ("These are your people, this is your year") in there, because it's pretty lovely as is. 61. Wooden mixing bowl! This brand, Hape, makes such great toys. 62. You guys. 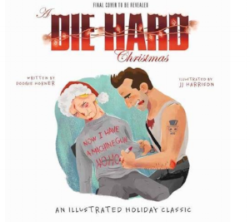 This Die Hard Christmas illustrated book, set to the rhyming cadence of Night Before Christmas. Someone on your list definitely needs this. 63. Please include this Die Hard ornament in your gift, because nothing says festive like Hans Gruber's face on your Christmas tree. Photo from CastleMcQuade Etsy shop. 64. I mean, you could throw in actual Die Hard too. At about $5, it's a great stocking stuffer. 65. The very best ice cream scoop. 66. Which you can pair with the best ice cream bowls (also excellent for anything else you use bowls for). 67. Exploding Kittens. Such a fun game. For all ages. 68. Invisible ink pens! Kids definitely want these. 69. And the adult version, sort of: an erasable, reusable notebook. Use the app to scan your writing and drawing and send to your various data-storing places (Google Drive, Dropbox, Slack, email.etc. ), then erase, and start all over. 70. This crumb-catching bread cutting board. 71. Pair it with this excellent mid-range bread knife (or a super fancy expensive bread knife, if you have the budget). 72. And for the Great British Bake Off fan, round it out with Paul Hollywood's bread bible. So many cookbooks this year. I'm not sorry! There is one for every occasion. 73. While we're at here, let's consider Mary Berry's Baking Bible as well. 74. 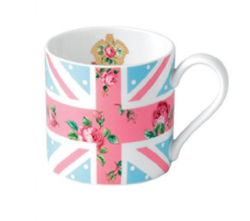 Consider going all out by throwing in this absurdly twee-lightful and utterly cosy British cottage-esque Union Jack mug. And maybe some Downton Abbey tea? 75. 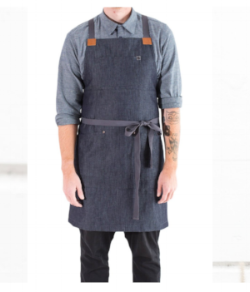 And then consider this pricey, cool apron. Alton Brown's favorite! I like the olive canvas version a lot, too. 76. This weird goo that I don't fully understand is supposed to sanitize and clean your keyboard. Hooray for stocking stuffers! 77. This sweet lil mouse ornament. Or this one. 78. Completely unrelated, obviously, is this book. Bundle 'em up together for your favorite little reader. Treat Yo Self gift bags. I did this for two of my cousins last year, and they were a hit. Indulge in buying some fun items they probably wouldn't buy themselves. Go for one main item, a couple medium items, and some smaller ones. You can do this for any budget and lots of items on the guide work but let's look at a $50ish dollar budget. 79. For a main item, you can hardly go wrong with some Kate Spade earrings. Especially when Nordstrom price matches, or Macy's has them on sale. I mean, how cute are these glitter studs? This is what I included in the bags last year. 80. I wear these black drop earrings to work multiple times a week. 81. And there's room in every wardrobe for these sweet, classic knots. 82. For a medium item, I am a big fan of books. Go for the best thing you've read in the last year, or for a classic Christmas book, or straight up fluff. Maybe a little holiday reading. A Christmas Carol won't steer you wrong, either. 83. Face masks. Always face masks. There is no shortage of options, but I really like this rose eye mask from Sephora. 84. Listen, if you're going to do a face mask you're going to want to throw in one of these. Winning the coveted annual Cheapest Item On The Gift Guide prize, this adorable kitty ear headband is sure to put a smile on your giftee's face while keeping their hair off of it. FOR 2 AMERICAN DOLLARS. 85. Depending on your budget, this Fenty universal lip gloss is supposed to be the bee's knees. From Rihanna's fantastic, inclusive new makeup line, this is designed to look lovely on all skin tones, and I hear that it does. I'd love to get this in my stocking or a gift bag! 86. 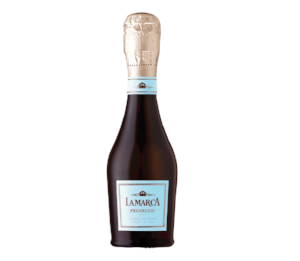 Of course, you can always round it out with some of your favorite hot chocolate, or a split of champagne (as pricey or as budget-friendly as you please) that they don't have to share. Picture it: wearing new earrings, curled up reading a book while wearing a face mask and drinking some bubbly. Honestly, this is just a fantasy gift for yourself. 87. As part of the Treat Yo Self bags or simply for someone who likes to take care of her paws, any or all of the following items make a great package together or separately. 89. Julep oxygen nail treatment. Keep nails healthy, keep nail color from staining. Allure loves this one too. 90. Listen, I don't know about you, but I can never find a ruler when I need one. And I would have loved this in my stocking as a kid. MY VERY OWN RULER. 91. Merriam-Webster is one of my favorite accounts to follow on Twitter, and they now have swag. Their simple #WordsMatter mug speaks to me most, but this is also fun. 92. I have it on good authority that this card holder for little hands is a great stocking stuffer. 93. This Echo Dot and Fire TV Stick combo. I have and use both items regularly and recommend them heartily. 94. Throw in some smart plugs, so your giftee can control their lights from their phone or their new Dot or Echo. 95. I have it on good authority that this candle is the best ever. Someone should buy it for me so that I can test out that claim. 96. The candle would make a great hostess gift, and so would Christmas crackers, which are a British tradition I am quite fond of. You can find them in many different stores at many different prices. Check Marshall's and Homegoods, and maybe even Costco. 98. Perhaps I can interest you in a more reasonably-priced avocado ornament? 99. I can think of about ten hard-to-shop-for people that this identity theft protection stamp would be good for. 100. Pocket-sized SOS kit. Don't we all need this? 101. BILIBO toy. Just add imagination. There are minis, too. 102. Tasty Science. Because tasty and science. What makes drinks fizz? Find out! 103. Balance board...thing. It reminds me of the Pogoball I had growing up and I feel like it would be good for someone who likes to workout or to keep your kid busy. 104. I like these personalized bookmarks for hard-to-shop-for people. Design them with photos of their favorite people or places, an inside joke, or a quote about reading. 105. I am very strongly pro trinket tray, and I have one of these that says something else (Queen Bee, if you must know), and I sort of want to buy this teeny trinket tray for every female I know, even if they don't want to be CEO (which I don't). 106. Maybe you want to pair it with this inflatable crown, while you're at it. I bought this for an adult last year, and I think it's safe to say it is a delight for all ages. It's $3, so maybe just get one for everyone on your list. One inflatable crown to rule them all. 109. Or a home plate doormat. 110. Battery tester. Useful, exciting for a kid, inexpensive. 111. Show me something cuter than a kid in a robe, like a wee baby adult. 113. A beaded NYC taxi ornament. I don't know why this charms me so, it just does. Beep! 114. I'll close with my annual commentary. When thinking of gifts, I love the old adage 'something they want, something they need, something to wear, something to read'. I think 'need' is the only category I haven't truly covered here. Of course you can do your own research, but causes close to my heart include whatever local charity gives to kids who otherwise might not have a Christmas morning (like your local angel/giving tree), Toys for Tots, Feeding America, helping wildlife, your local food bank, and your local blood & plasma bank. Maybe schedule an appointment to donate blood or plasma in January, if you want to give to someone not on your list. If you want to give in someone's name as a gift, you could certainly do that too. Thanks for joining me and humoring me. I hope you've found some inspiration, and even if you haven't, this was a lot of fun for me to put together and I hope you enjoyed the ride as well! Wishing you and yours a truly happy, healthy, fun, delicious, and festive holiday season!